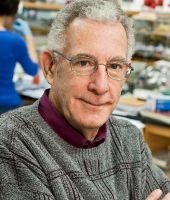 Thomas N. Seyfried is Professor of Biology at Boston College, and received his Ph.D. in Genetics and Biochemistry from the University of Illinois, Urbana, in 1976. He did his undergraduate work at the University of New England where he recently received the distinguished Alumni Achievement Award. He also holds a Master’s degree in Genetics from Illinois State University, Normal, IL. Thomas Seyfried served with distinction in the United States Army’s First Cavalry Division during the Vietnam War, and received numerous medals and commendations. He was a Postdoctoral Fellow in the Department of Neurology at the Yale University School of Medicine, and then served on the faculty as an Assistant Professor in Neurology. Other awards and honors have come from such diverse organizations as the American Oil Chemists Society, the National Institutes of Health, The American Society for Neurochemistry, and the Ketogenic Diet Special Interest Group of the American Epilepsy Society. Dr. Seyfried previously served as Chair, Scientific Advisory Committee for the National Tay-Sachs and Allied Diseases Association. He recently received a Lifetime Achievement Award from the Academy of Complimentary and Integrative Medicine, and the Uncompromising Science Award from the American College of Nutrition for his work on cancer for his work on cancer. He presently serves on several editorial boards, including those for Nutrition & Metabolism, Neurochemical Research, the Journal of Lipid Research, and ASN Neuro. Dr. Seyfried has over 180 peer-reviewed publications and is author of the book, Cancer as a Metabolic Disease: On the Origin, Management, and Prevention of Cancer (Wiley Press). His full list of peer-reviewed publications can be found on PubMed. Christine Rosche, MPH, CNS, CBTis a Board Certified Nutrition Specialist and Biofeedback Therapist with 25 years experience in the health care field. 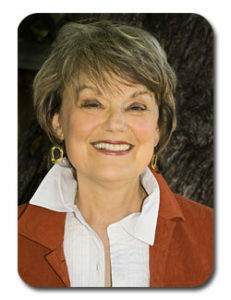 She has maintained a private practice in Palo Alto since 1980 and specializes in functional testing and integrative approaches for digestive issues including GERD, malabsorption issues, gut permeability, IBS, IBD, Crohns, constipation and inflammatory bowel disease. As a licensed Heart Math™ Trainer, Christine is pioneering the integration of Heart Math ™ Heart Rate Variability (HRV) Biofeedback Training with Custom Nutrition and Gut Healing Protocols.